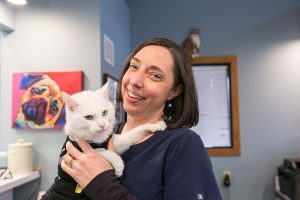 Wendy has worked in veterinary medicine for sixteen years, six of them with Animal Care Clinic. 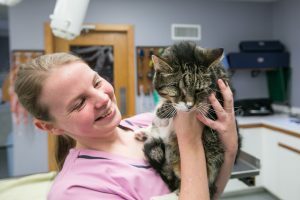 Wendy is currently pursuing her degree in veterinary nursing at Penn Foster College. She has two shih tzus (Teddy and Marlie) and a houseful of cats. She likes to read and has a special interest in police K9s. Jennifer has a wonderful husband, two children in college, and three spoiled-rotten cats. 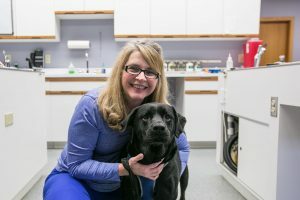 She has worked for Animal Care Clinic for three years and enjoys marketing the business to the community. In her free time, she likes to cook, take walks with her husband and attend events around town. Manda has two cats, one maltese and a bird. She likes books, movies, hiking and chocolate. She dislikes retail, mean people and pens that don't write well. She will scratch your dog's ears as long they will let her. She is notorious for kissing cats on the head. And she will share her chocolate upon request. 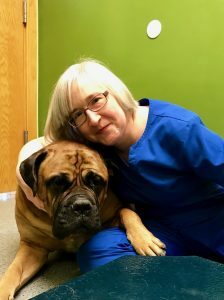 Pam has been with the Animal Care Clinic for fourteen years and is currently pursing her degree in veterinary nursing from Penn Foster College. 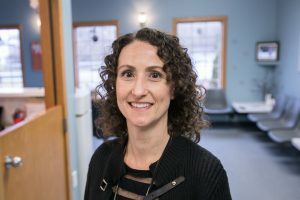 She and her husband enjoy spending time with their growing family, which includes three married children, seven grandchildren, their Black Lab, Easton, and cats, Bo, Gracie, and Lola. Megan has three cats, two horses and one dog. She loves to spend time with her pets and she shows her horses at local open shows. She was in 4-H for eight years, and now is an adviser to her former club--Just Horsin' Around. When she's not busy with her animals, she's reading and watching movies. Kate has been an Oxford resident for eight years. She lives here with her husband and twin step-children. They share their home with two cats--Lucky and Stuffins and two dogs--Zippy Fry and Tucker. In her free time, she enjoys reading, gardening and spending time with her family.